A New Orleans landlord who had a policy of not returning phone calls from certain rental applicants has agreed to pay $70,000 to settle a lawsuit by the Department of Justice. The settlement must still be approved by the court. 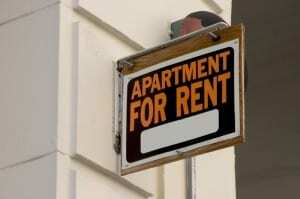 If approved, the settlement would resolve a claim that the landlord discriminated against African-Americans seeking housing at her 16-unit apartment building by failing to return phone calls from testers posing as applicants who the landlord perceived as African-American. She returned calls from those perceived as white testers. Those white testers also claim she made statements to them indicating that she would not rent to African-Americans. She is also accused of lying to an African-American tester that an apartment was not available for rent when in fact it was available. Under the terms of the settlement, the landlord will pay $50,000 to a local housing authority and a total of $20,000 in civil penalties to the United States. The settlement also requires her to adopt non-discriminatory policies and procedures, keep detailed records of inquiries from prospective tenants and of rental transactions, and submit periodic reports over the four year term of the settlement. The Justice Department has vowed that fighting illegal housing discrimination is a top priority.